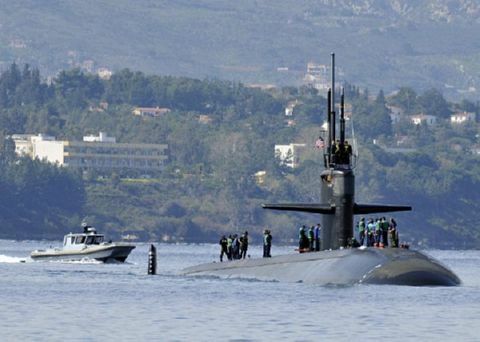 The second Albuquerque (SSN-706) was laid down on 27 December 1979 at Groton, Conn., by the Electric Boat Division of the General Dynamics Corp.; launched on 13 March 1982; sponsored by Mrs. Nancy L. Domenici; and commissioned at the Submarine Base, New London, on 21 May 1983, Capt. Richard H. Hartman in command. The nuclear-powered attack submarine spent the remainder of 1983 engaged in operations at sea completing the variety of tests, examinations, certifications, and inspections that attend the acceptance of a newly constructed warship into the fleet. She also carried out the shakedown training that welds the members of a newly formed crew into a smooth-functioning team. At the beginning of 1985, the warship reentered the yard at Electric Boat for her post-shakedown availability. The repair period ended on 15 April. In May, she voyaged south to the Florida coast for weapons and combat systems certifications. During the summer, she participated in a fleet exercise and took part in a midshipman training cruise. In August, Albuquerque began normal operations from her home port. October and November brought extended operations at sea in the Atlantic, and, in December, she underwent additional repairs at Electic Boat. Albuquerque opened 1985 with sonar training and weapons systems drills carried out in the local operating area. In February, she completed preparations for another two months at sea that began on 27 February. The warship returned home at the beginning of May. Operations along the east coast occupied her time until mid-June when Albuquerque went back to sea for an extended period of operations. Two months later, she reentered her home port and took up local duty once again. The warship remained so employed until November when she cruised south to the coast of Florida to serve as a school ship for prospective commanding officers. Albuquerque resumed local operations out of her home port in December. On 14 January 1986, the nuclear-powered submarine entered the yard at Electric Boat for a two-month restricted availability. In March, she turned to for local evolutions and alternated between that employment and upkeep in her home port until late May. Between 19 May and 14 September, Alubuquerque remained at sea engaged in an extended series of operations highlighted by port calls in Scotland and England. She returned home in mid-September and, after post-deployment standdown, voyaged to Exuma Sound late in October for sound trials. She returned to Groton briefly at the beginning of November but put to sea on the 4th to take part in two fleet exercises. Upkeep at New London took up the period between 24 November and 7 December and an ASW exercise consumed most of December. Holiday routine at New London occupied the last 11 days of 1986. As of the beginning of 1987, she was in port at New London.